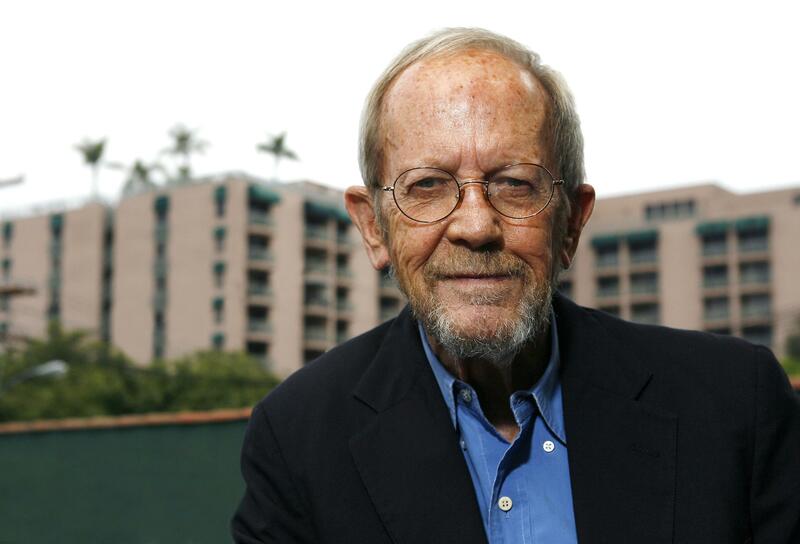 Elmore Leonard: Rules for writing are full of exceptions. Elmore Leonard’s death this morning at age 87 has been greeted with a wave of online appreciation—for his great novels, his terrific movies, and his rules for writing. That last contribution of his, a collection of 10 rules that he first shared in 2001, has today been posted by Vulture, BuzzFeed, the Philadelphia Inquirer, Open Culture, and no doubt many other websites and publications. The rules have been popular for a decade and were even turned into a book. But they are full of exceptions. And Leonard knew that as well as anyone: In the original New York Times article that includes the rules, Leonard himself adds caveats and qualifications to five of the 10—something you’ll miss if you just read the listicle versions proliferating on the Web. He even opens up the piece with a big hedge: “If you have a facility for language and imagery and the sound of your voice pleases you, invisibility is not what you are after, and you can skip the rules.” Now, saying you can skip the rules if “the sound of your voices pleases you” may sound like a jab at self-satisfied writers, and perhaps that’s how Leonard meant it. But the truth is that “invisibility” is not what all writers are after—and not, for that matter, what all writers should be after. And so I prefer to think that Leonard intended that bit about skipping the rules with at least some sincerity. In other words: Don’t do these things, unless you’re good at them. Then go ahead. Which is actually, in itself, not terrible advice. Leonard’s rules are not so much rules for writing well as they are pointers for how you might avoid writing badly. That certainly describes some of the entries that appear without any exceptions, such as “Never use a verb other than ‘said’ to carry dialogue,” “Never use an adverb to modify the verb ‘said,’ ” and “Use regional dialect, patois, sparingly.” All of these things can be done with skill, but they can also go very wrong very easily. So most of us should probably avoid them altogether.